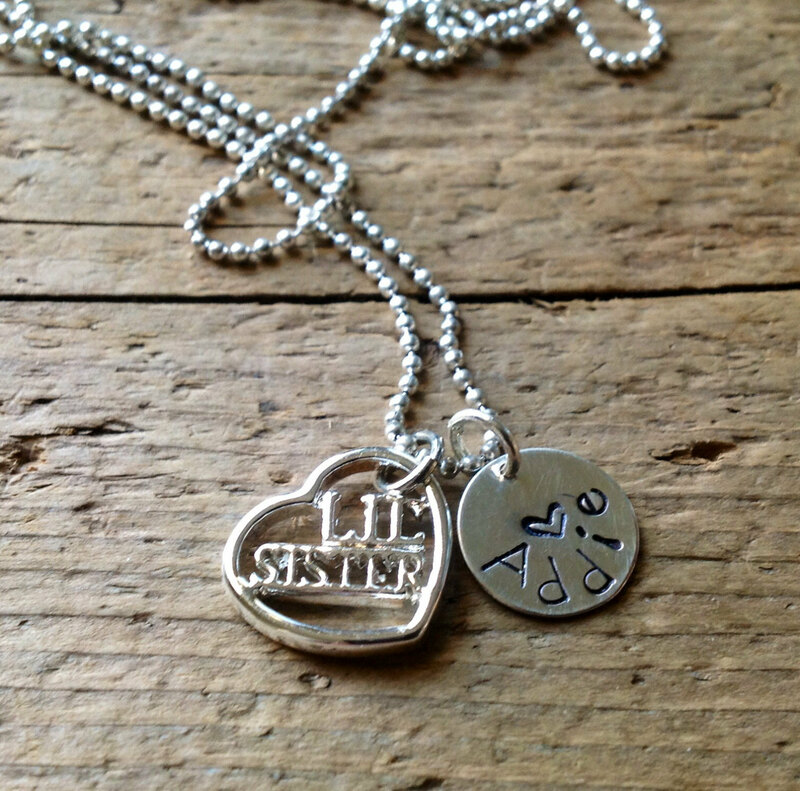 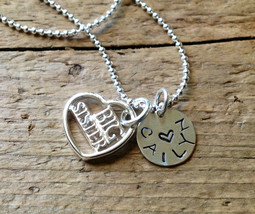 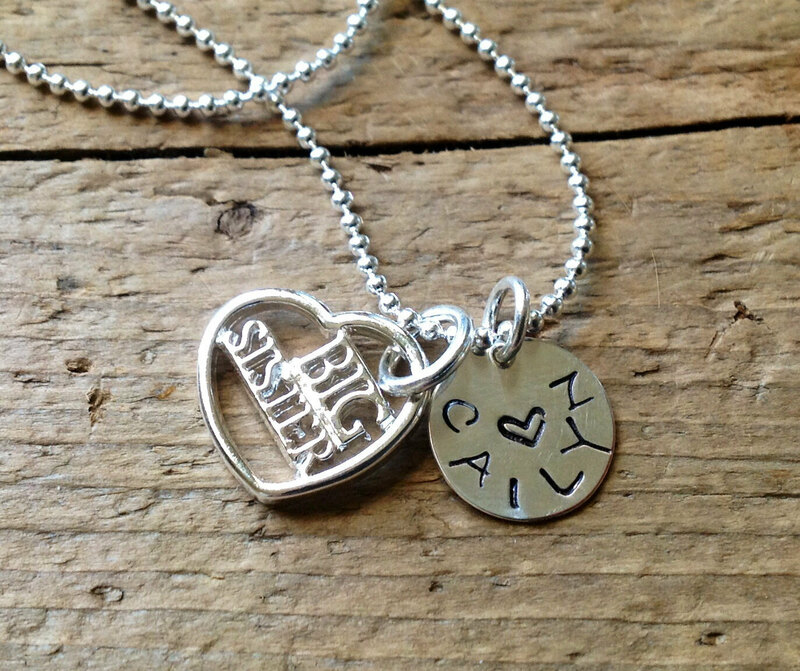 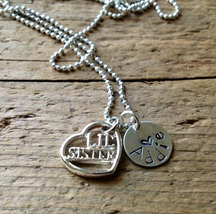 Big sister Necklace Perfect gift! 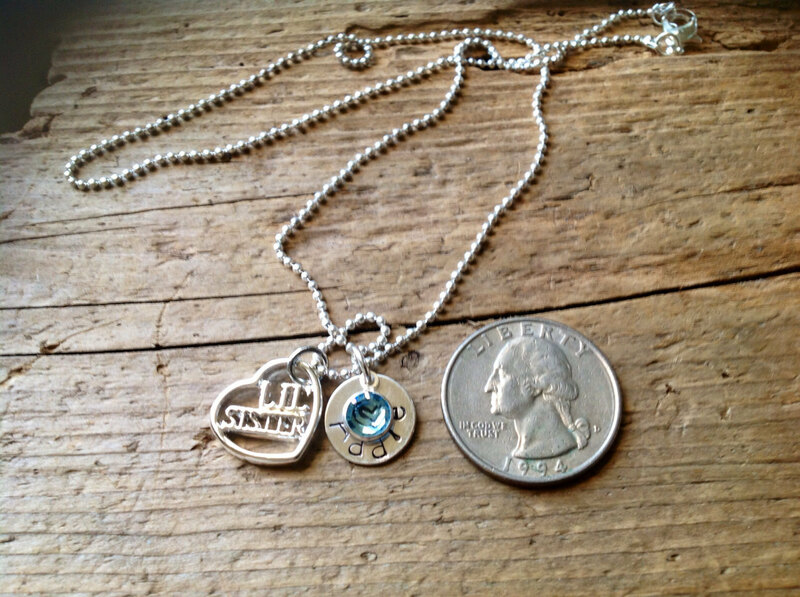 An idea for twins...new baby in the house, or your very best friend Add-on a Swarovski birthstone: (picture #3 - only 2.50!) Http://www.etsy.com/listing/92465303/channel-bezel-set I also offer the Lil Sis necklace....second item ships free!